Convince your friend to book a facial here & you will each receive a free Spa 30 Massage on the day. Choose from Spa Heaven, Evidence Results or upgrade to a more intensive treatment. Can't get here at the same time? Come on different days, we will still honour the gift. Because friendship & facials are two of our favourite things. First we perform The Foot Peel to melt away dead hard skin. Feet are rasped smooth, hot towelled then smothered in rich cream. Next a Pomegranate Facial Peel reveals bright new skin beneath & refines skin texture. Reverses pigment, acne and lines, leaving your skin is even toned, fresh & pure. Purchase a series of peels to revise every skin concern known, with a treatment each week keeping skin in check as it replaces itself completely. You will see reversal of issues like uneven skin tone, acne, scarring and redness. 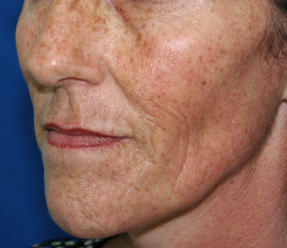 Lines & wrinkles will reduce as new growth is triggered regularly over the course of treatments. Payment options: Choose to pay in 1, 2 or 3 instalments. First we lift your lashes making them look open, pretty & full. Next lashes are darkened making them look longer. Brows are treated to a custom blend colour making them defined & fuller. Your brow will be measured, shaped and sculpted to absolute perfection. Real lash growth that's yours to keep. Forget damaging lash extensions, EyEnvy will grow your lashes long & lush. Apply a thin layer to the lash line. Lashes get a dose of growth serum that increases the length, thickness and number of lashes growing. VIP Membership Is Coming Soon! Just like a gym membership, but for your skin & beauty treatments. Paid weekly or monthly, with huge bonus inclusions and savings to make staying radiant even easier! Sign up now to get first access to the best savings. First release will come with a gift. Vitamin A is recommended to all our guests as part of a good responsible skincare routine. This is because Vitamin A plays a role in over 5000 different chemical reactions in your skin every single day. Without enough Vitamin A, things definitely go wrong. This can look like acne, aging or simply inflammation. Or you may notice nothing except the slow slide of time. People often ask us if it's enough to eat food rich in Vitamin A. The answer is definitely no. The body will send it to the major organs first and foremost - that wrinkle on your face? Not a priority. It will never happen. To get sufficient Vitamin A on the skin we need to put it topically where we want it. Serums containing Vitamin A will achieve good levels in the skin and show results within a few applications. Vitamin A needs to be applied at night. People often think this is because it causes skin problems if applied during the day, but this is completely untrue. The reason we apply it at night is that light destroys Vitamin A. So if you apply it in the day it's just going to die & have no effect. Even electric light destroys Vitamin A, so it's best applied right before bed. You can buy very low level formulas from supermarkets, but beware they are simply the anti-oxidant form of vitamin A and will not make a change in the skin. Remember supermarkets want to be able to sell off the shelf to anyone at all. If their products caused changes, it would cause such big problems for their untrained staff, so they only stock things that do little to nothing. Vitamin A also comes in prescription tubes from your doctor, by the name of Retrieve or similar generic creams. The Vitamin A they contain is FINE, it's the rest of the cream that is below standard for us. Simply putting a good ingredient in a rubbish emulsion doesn't make for a good product. For every bit of benefit from the vitamins, there is harm from the petrochemical emulsions it comes in. The best kinds of Vitamin A are encapsulated, with every molecule being wrapped in a shell which melts upon contact with the skin. Click here to see what's coming up in August!